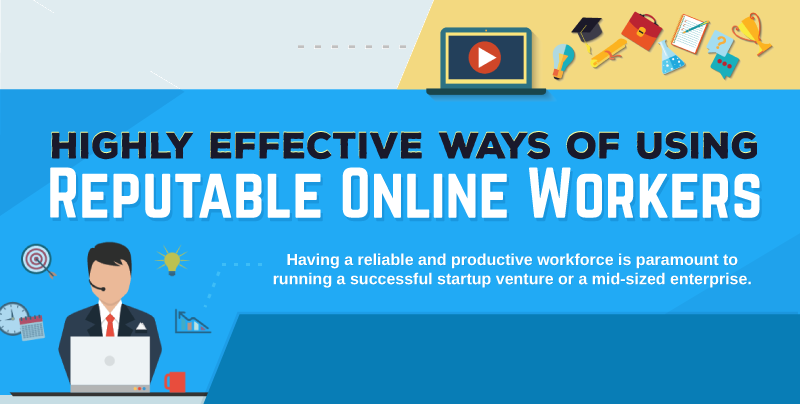 Having a reliable and productive workforce is paramount to running a successful startup venture or a mid-sized enterprise. Since starting an SMB often entails wearing many hats, it is quite challenging for business owners to strike the balance between leading the company to its intended goal and managing every tasks and process involved in day-to-day operations. In both cases, you are deep in the trenches of daily operations that there is little time left for strategic level tasks connected with business growth. If these scenarios sound familiar, it may be time to hire online workers.